Have YOU seen Sarrah ? The Story of fourteen year old Sarrah begins 30 Sept., 2012 after she finished the school day, her family was waiting for her to return from school but she didn’t. 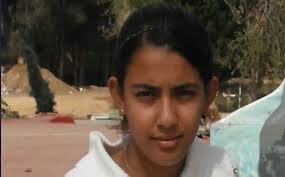 After a big search in the village (Dabaa-matroh-North west of Egypt ), they didn’t find her. After a while some salafis came to them telling that their child was married to one of them and became, so you don’t have to search her nor asking for even seeing her and they menace them hardly if they call the police…the family who had nothing to do to return their child went to call for the return of their child, as. 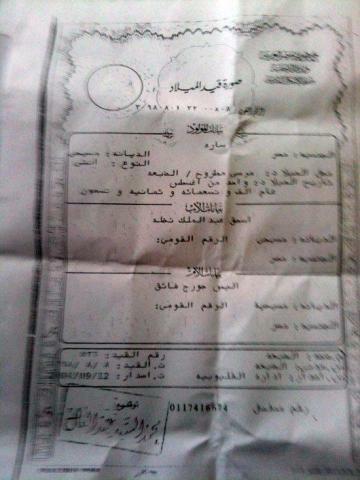 the law of marriage in Egypt is 18 year for girls”, so after many attempts the minister of interior said to them that he had nothing to do in this case and the whole of thing is in the hand of the chief of Salafis Yasser el borhamy- Yasser el borhamy is one of the greatest chief of salafis in Egypt if he isn’t the greatest he said many times that any girl can be married if she would have only 9 yo and even less by Quran.